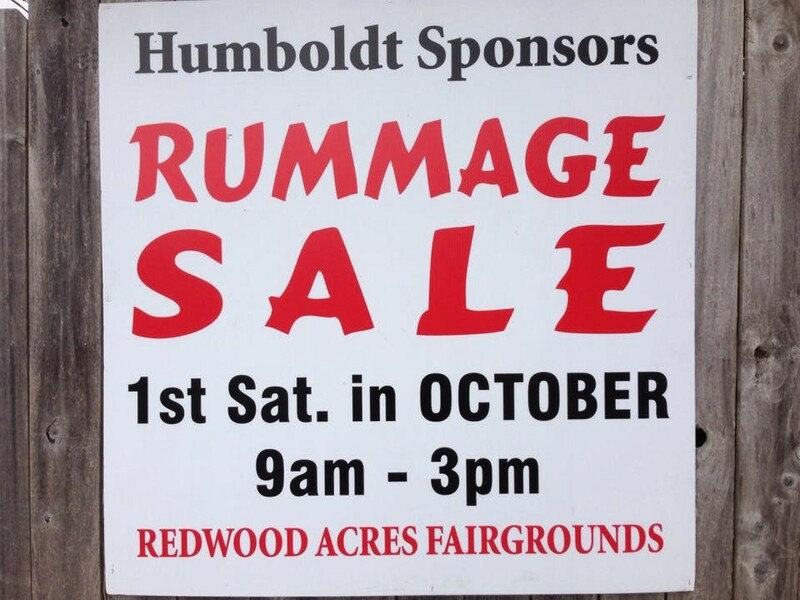 Don't miss the 53rd Annual Humboldt Sponsors Rummage Sale, Saturday, October 6, 2018, from 9 a.m. to 3 p.m. at Redwood Acres Fairgrounds in Eureka. You'll find four different buildings full of great bargains for the entire family: housewares, furniture, electronics, tools, books, clothing, jewelry, toys and sporting goods, including new items donated by local merchants. 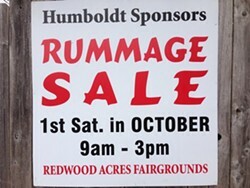 Humboldt Sponsors is a local, non-profit charitable organization dedicated to raising funds solely to benefit the children of Humboldt County. 100% of all proceeds is granted to local youth-related organizations.